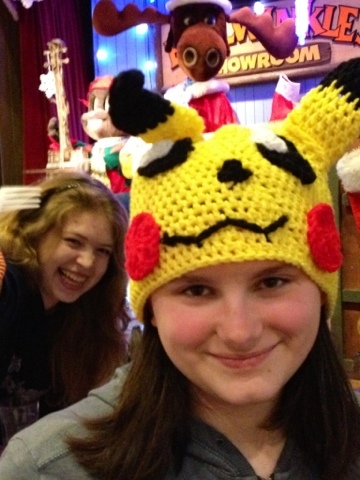 While catching her wearing a Pikachu hat, hand-made just for her, I saw one of her friends sneaking in the frame. Cute. It made me laugh. It wasn't until we were home that I noticed Bullwinkle getting in on the photo-op.